What if I asked you to pull up your chair and get ready to relax? You might think why I asked you to do that. Because I’m going to share a recipe named Strawberry moscato wine spritzer which is a leisurely sipping cocktail for stimulating your summertime. The recipe is originally shared by Sharon . I am a great lover of wine spritzers. 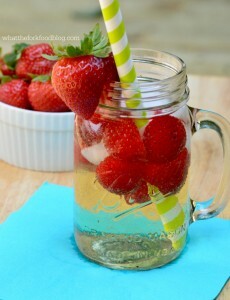 Like me you will love this refreshing Strawberry moscato wine spritzer and it is totally customizable. You can use your favourite wines with juice, citrus based soda whatever you want. It is totally up to you which fruit you want including peaches, blackberries, raspberries or a combination of fruit. Here I am going to share the Sharon’s recipe where she used strawberry, moscato wine (light &sweet wines are always best for spritzer) and 7Up. Add wine and soda to a glass, stir to combine. Add strawberries and top with ice. To make this for a crowd, use a 750 ml bottle of wine and 3 cups of soda. 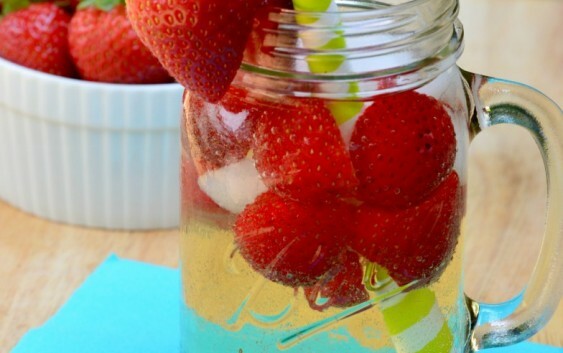 Add strawberries and ice to each individual glass.